Major international bestseller and critically acclaimed author Harriet Evans weaves an “absorbing tapestry…with a comic touch even in the midst of tragedy” (Kirkus Reviews) in this stunning family drama that will surprise you at every turn. When Martha, a wife and mother of three, sits down one late summer’s morning to write out the invitations to her eightieth birthday celebration, she knows that what she is planning to reveal at the party could ruin the idyllic life she and her husband, David, have spent more than fifty years building. But her family must know what she and David have sacrificed. She cannot live a lie anymore. The invitation goes out far and wide, calling her children and grandchildren back home to Winterfold, their rambling house in the heart of the English countryside. Bill, a doctor, was once a sweet, serious boy, eager to help his mother, but he’s not the man Martha thought he’d become. Florence—passionate, intellectual, one might say a little eccentric—is now an art history professor in Italy. And Daisy, the dark heart of the family, left years ago to be a charity worker abroad and never really came home. The reunion becomes a catalyst for a cascade of shocking secrets and unexpected events as the Winters grapple with the joy and the pain of the past. This reading group guide for A Place for Us includes an introduction, discussion questions, and ideas for enhancing your book club. The suggested questions are intended to help your reading group find new and interesting angles and topics for your discussion. We hope that these ideas will enrich your conversation and increase your enjoyment of the book. When Martha Winter sits down one late summer’s morning to invite her family to return home for her eightieth birthday celebration, she knows that what she is planning to reveal at the party could ruin the idyllic life she and her husband, David, have spent over fifty years building. As the family returns to Winterfold, their rambling house in the heart of the English countryside, each character reveals the secrets, joys, and tragedies with which they are wrestling. And when Martha finally unburdens her secret, the family’s foundation threatens to crumble. 1. The majority of characters in A Place for Us are women, and consequently this book addresses many women’s issues. What are some of the defining moments for the women in the novel, and how do these events impact their characters’ development? What kinds of arguments do you believe the author is ultimately trying to make through her female characters about women’s experiences? How do you relate to these experiences? 2. Martha says, “Women weren’t supposed to think we could have both, back then. Do the job we loved, have the family we wanted.” “Back then” to Martha would be the mid-twentieth century. Do you think the attitude of society today has truly progressed to encourage women to have both? Discuss. 3. The author takes the reader through the story from the perspective of multiple characters, focusing on some more than others. Do you believe all the characters play equal supporting roles, or would you argue that some are more pivotal than others? Do you think there is a main character? If yes, who, and why? 4. Why do you think we see certain scenes from the point of view of a particular character? For example, the neighborhood party is told from Lucy’s point of view. How would it have been different if seen through the eyes of Joe or Florence? 5. The book is divided into four parts, each beginning with a quote or lines of poetry. How do these epigraphs relate thematically to the section they introduce, and to the book as a whole? 6. Why do you think David and Martha never told Florence that she was adopted? Do you think they were justified in not doing so? 7. When Martha comes to Paris to take Cat and Luke home to Winterfold, Cat says she recognizes the “feeling of half sadness, half happiness that stalked her all the time lately” as love. Have you ever felt this way? How would you define love? 8. At the family lunch, when Martha makes her announcement, she says that she and David “went wrong, somewhere along the way,” and that “it begins with Daisy. It ends with her too.” Do you agree with Martha’s perception that she and David as parents are somehow at fault? Do you agree that Daisy is the primary catalyst for the problems that affected the family? 9. Do you think that Martha was right to handle Daisy’s death in the way that she did? If not, how should she have done it differently, and what repercussions do you think it may have had? 10. When Karen and Bill separate, both feel that the other is at fault for the damage to their marriage. Do you believe that Karen or Bill played the primary role in hurting the relationship? Do you believe that one person can be more at fault than another when a relationship fails? The birth of Bella is a crucial moment for Karen and Bill; how significant do you think it was in their journey to healing? 11. Many characters, from Joe and Karen to Florence and Cat, wrestle with their place among the Winters and the idea of whether they truly belong. Consider the argument of nature versus nurture: How much of a person’s identity is defined by origins, and how much of it is shaped by ones surroundings and the people in one’s life? Are blood ties really the strongest and most binding of all? 1. Author Harriet Evans’s debut novel, Going Home, is also about a family coming together at their house in the countryside where secrets and controversies arise. Read Going Home with your book club and discuss the similarities and differences of these two novels. How do they differ in tone? What do you believe Evans is trying to say about the role of family in our lives with these two novels? Come up with your own title for each section, and then discuss why you chose that title. 3. Select a major event in the story, like Martha’s announcement at the party, or an argument between two characters, and write it from the perspective of a different character other than the one the author has chosen. Read it to the group, then discuss the scene you chose, the character you chose, and what you hoped to emphasize through the alternative point of view. "A brilliantly written story that will stay with you long after the last page." "Lovely and heart-warming, A Place for Us is a thoroughly readable novel filled with tragedy, love and redemption." "A really superior modern saga, with utterly true to life characters." "This brilliantly written portrait of a fascinating family in crisis is an emotionally intelligent, thoughtful and engaging read." 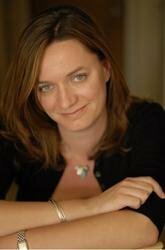 "I was blissfully carried away by this intelligent...classy and superbly executed family saga." "The shallow LA of today is wittily satirized, and the more glamorous age of the 50s brilliantly recalled." "This cleverly constructed tale about the interwoven lives of two Hollywood actresses will have you gripped from the very first page. Dripping with dark humour, gritty realism, with a little bit of romance thrown in, too, it's an absorbing read." "A multifacted tale of fading fame and shifting fortunes." "This is more than your average chic lit. The stories of Sophie and Eve take center stage here, providing a refreshing and absorbing depth and complexity. A fascinating look at the Hollywood machine of past and present and those who have struggled within it." "Written in the author’s usual warm, witty style, this is perfect for a cozy night in." "Well written… you’ll love it." "(A) story of heartbreak and rivalry… An effortless and deeply satisfying romantic tale." "A broken heart and a forbidden affair are the compelling components of this poignant tale of self-discovery…Wonderful." “A fabulous feel-good love story of friendship lost and love regained." "This best-friends-fall-in-love novel will make a satisfying sumer read." 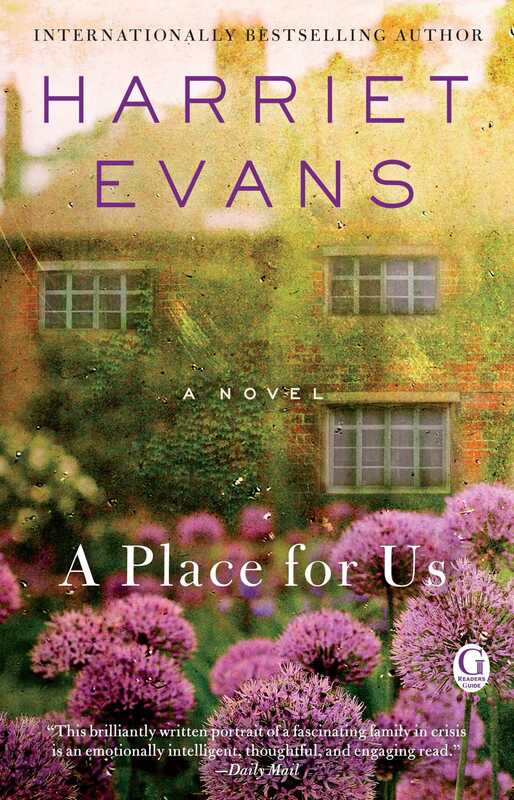 "Evans’ latest will wrap you in a quaint tale of first loves, self-discovery and second chances . . . the locales are stunning, leading the reader on a romantic journey across Great Britain, from small towns full of Jane Austen historical sites to bustling London . . . a compelling story complete with mystery, unearthed secrets and longing for new adventures and old comforts."